Lindsay has been a member of the Board of Directors since 2012. She is responsible for maintaining our blog, social media strategy, and communication with supporters and donors. Lindsay received her bachelors of nursing from Liberty University and is currently pursuing her master’s degree from Texas Wesleyan University to become a nurse anesthetist. 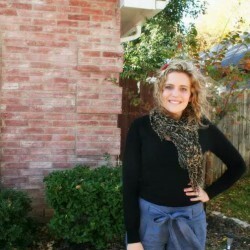 Lindsay works as a registered nurse and lives with her husband and two dogs in a suburb of Dallas, Texas.